In a time when more people live in cities than the countryside, it is challenging to think through the implications that we all live from the land, to take in deeply and practically what it means that humans are part of nature. How do city dwellers, that is, monocultures of humans, come to recognize changing nature, including human nature, at a time of rebalancing of atmospheric gases supporting life as we still know it, and of cascading deaths of species, some before they have been identified? Drawing on historical ideas about nature since the 19th century, Professor Freedmann focuses on seed governance at the interface of society, culture, and ecology. Seeds of recognition lie in new ways of understanding humans as a species at once like other species --- in that humans change ecosystems to get food --- but also unique in its capacity to reflect and change its practices. Foundational are selection, saving, changing, and planting seeds. Recognition of seeds is crucial to changes in governing ourselves as part of nature. Harriet Friedmann is Professor Emeritus of Sociology, University of Toronto, presently Visiting Professor at LEST, University Aix Marseille. She was past Visiting Professor at the Carleton University in Ottawa, Institute of Social Studies (Erasmus University) in The Hague, CPDA Research Centre of the Federal Rural University of Rio de Janeiro, and CIRAD in Montpellier. Her publications span several aspects of food and agriculture, notably as co-developer of the historical food regimes approach, which specifies periods of power, accumulation, and diets on a world scale, and even more important, transitions between regimes. Her recent publications are on international policies and ecological theories related to food system transformation and emergent governance across social/natural scales, as cities and capital have reorganized the biosphere and ethnosphere. Her current project is Global Political Ecology of Food. Friedmann was Chair of the Toronto Food Policy Council within Toronto Public Health in the 1990s and is now in her third term as councillor. 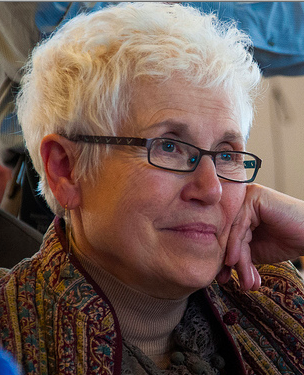 She serves on several editorial boards of food, agriculture, and global change journals and several nonprofit boards, e.g., USC-Canada, which supports small farmers in its Seeds of Survival projects across the world, Toronto Advisory Committee for the FAO-RUAF city-food region project, and Toronto Seed Library. She was Chair of the Political Economy of the World-System Research Section of the American Sociological Association and participated in the IAASTD Global Report. She received the 2011 Lifetime Achievement award by the Canadian Association of Food Studies.